Take cold days in style with this soft and beautiful heathered knit fleece scarf.| 100% polyester sweater fleece Dimensions: 70" x 10"
Our unique filament fleece offers lightweight warmth while blanket stitching adds contrast.| 13-ounce, 100% filament polyester R-Tek® fleece Anti-pill finish for lasting wear Dimensions: 56" x 10"
No golfer should be without this lightweight, quick-drying, super absorbent, odor-fighting towel. Tri-fold with center silver carabiner secures it to the bag. | 80/20 poly/nylon microfiber Waffle texture Fully hemmed for a clean look Centerl loop with carabiner Dimensions: 15.25"w x 24.25"l; 4 lbs./doz. Workout-ready, this ultra-light, quick-drying, ultra-absorbent towel fights odors and is ideal for the gym, spa, travel and more. 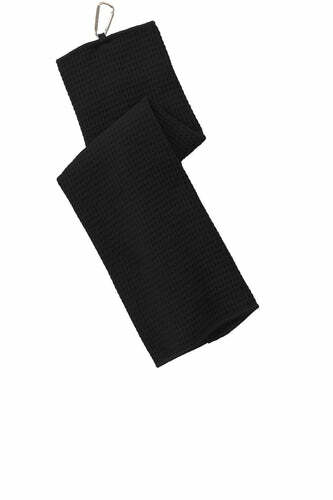 | 80/20 poly/nylon microfiber Waffle texture Fully hemmed for a clean look Dimensions:14"w x 32"l; 4 lbs./doz. 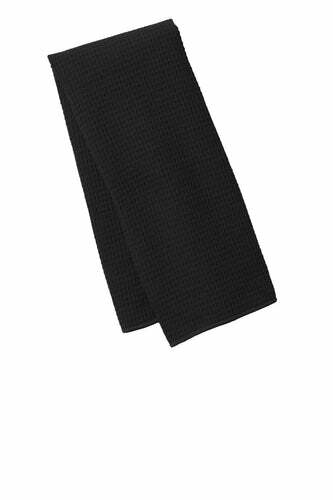 Keep your hands and clubs cleaner with this lightweight, ultra-absorbent, odor-fighting towel. 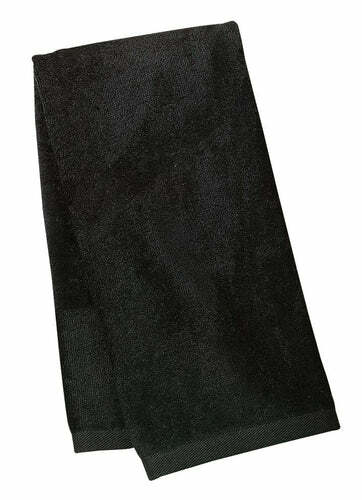 | 85/15 poly/nylon microfiber Fully hemmed for a clean look Dimensions: 16"w x 26"l; 4 lbs./doz. 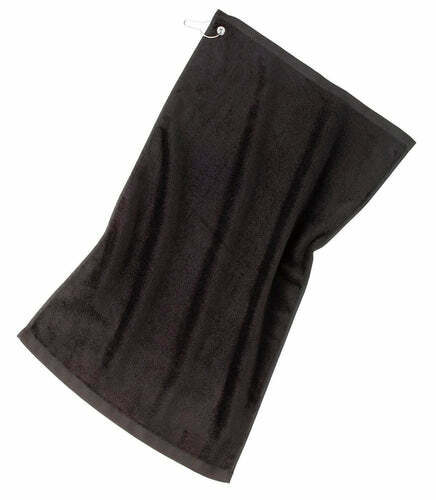 A handy carabiner allows you to hang this lightweight, absorbent, odor-fighting towel off the golf bag.| 85/15 poly/nylon microfiber Fully hemmed for a clean look Corner grommet with carabiner Dimensions: 16"w x 26"l; 4 lbs./doz. This thick, soft and highly absorbent towel is perfect for any sport.| 100% cotton terry velour Fully hemmed for a clean look Dimensions: 16" x 26", 3.5 lbs./doz. 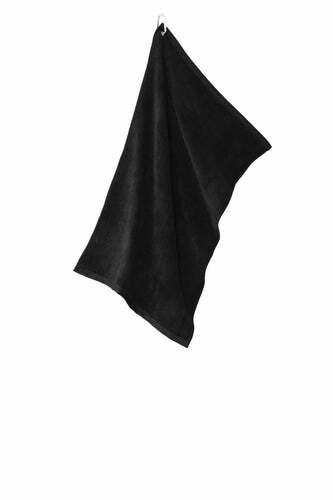 The luxurious feel and performance of terry velour cleans clubs and keeps your hands dry on the course.| 100% cotton terry velour Fully hemmed for a clean look Corner Grommet and hook to hang towel off bag Dimensions: 16" x 26", 3.5 lbs./doz.